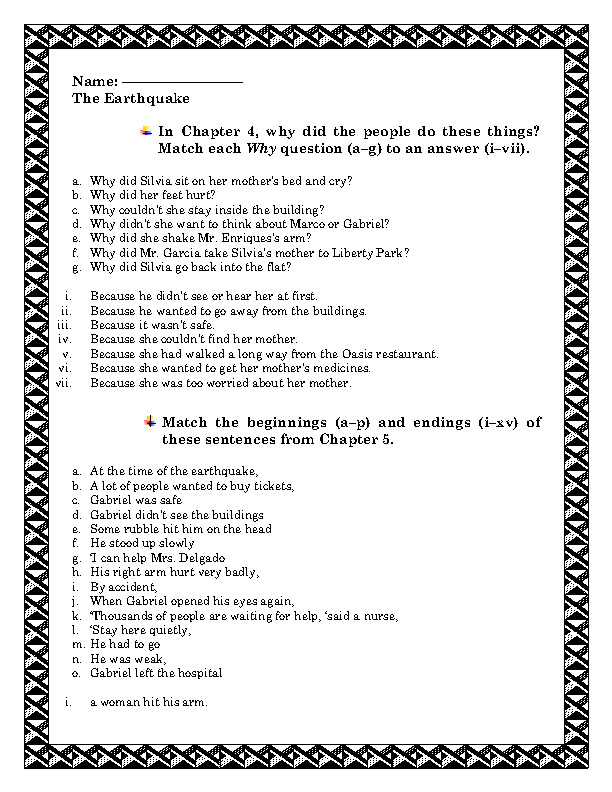 This worksheet is based on storybook named The Earthquake, (Penguin readers). It's appropriate for elementary students and pre-intermediate students. Hope you find it useful for your classes. This will help you to improve your students listening skills.